Posse G, Lewczuk N, Richter K, Cristiano P (2016). Carbon and water vapor balance in a subtropical pine plantation. iForest 9: 736-742. Afforestation has been proposed as an effective tool for protecting primary and/or secondary forests and for mitigating atmospheric CO2. However, the dynamics of primary productivity differs between plantations and natural forests. The objective of this work was to evaluate the potential for carbon storage of a commercial pine plantation by determining its carbon balance. 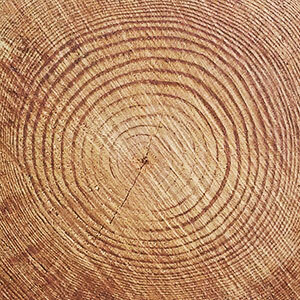 Measurements started when trees were aged 6 and ended when they were older than 8 years. We measured CO2 and water vapor concentrations using the Eddy covariance method. Gross primary productivity in 2010 and 2011 was 4290 ± 473 g C m-2 and 4015 ± 485 g C m-2, respectively. Ecosystem respiration ranged between 7 and 20 g C m-2 d-1, reaching peaks in all Februaries. Of the 30 months monitored, the plantation acted as carbon source for 21 months and as carbon sink for 6 months, while values close to neutrality were obtained during 3 months. The positive balance representing CO2 loss by the system was most likely due to the cut branches left on the ground following pruning activities. The plantation was subjected to pruning in January and September 2008 and to sanitary pruning in October 2010. In all cases, cut branches were not removed but remained on the ground. Residue management seems to have a very important impact on carbon balance. Estimates of the annual net carbon and water exchange of forests: the EUROFLUX methodology. Advances in Ecological Research 30: 113-175. Eddy covariance. A practical guide to measurement and data analysis. Springer, Dordrecht, Heidelberg, London, New York, pp. 438. Assessing the eddy covariance technique for evaluating carbon dioxide exchange rates of ecosystems: past, present and future. Global Change Biology 9: 479-492. Forests and climate change: forcings, feedbacks, and the climate benefits of forests. Science 320 (5882): 1444-1449. Carbon, water, and energy exchanges of a hybrid poplar plantation during the first five years following planting. Ecosystems 14 (4): 658-671. Decomposition and carbon cycling of dead trees in tropical forests of the central Amazon. Oecologia 122: 380-388. Late-summer carbon fluxes from Canadian forests and peatlands along an east-west continental transect. Canadian Journal of Forest Research 36 (3): 783-800. Changes in forest floor organic matter and nutrient content following clear cutting in northern hardwoods. Ecology 62: 41-48. Biometric and eddy-covariance based estimates of ecosystem carbon storage in five eastern North American deciduous forests. Agricultural and Forest Meteorology 113: 3-19. Gap filling strategies for long term energy flux data sets. Agricultural and Forest Meteorology 107: 71-77. Micrometeorology. Springer, Berlin, Germany, pp. 908. Effects of climate variability on the carbon dioxide, water, and sensible heat fluxes above a ponderosa pine plantation in the Sierra Nevada (CA). Agricultural and Forest Meteorology 101: 113-129. Disturbance history influences downed woody debris and soil respiration. Forest Ecology and Management 260 (10): 1762-1772. Uncertainty in eddy covariance measurements and its application to physiological models. Tree Physiology 25: 873-885. An approximate analytical model for footprint estimation of scalar fluxes in thermally stratified atmospheric flows. Advances in Water Resources 23: 765-772. Climate change 2014: Mitigation of climate change. Contribution of Working Group III to the Fifth Assessment Report of the Intergovernmental Panel on Climate Change (Edenhofer O, Pichs-Madruga R, Sokona Y, Farahani E, Kadner S, Seyboth K, Adler A, Baum I, Brunner S, Eickemeier P, Kriemann B, Savolainen J, Schlömer S, von Stechow C, Zwickel T, Minx JC eds.). Cambridge University Press, Cambridge, United Kingdom and New York, NY, pp. 1435. Spectral characteristics of surface-layer turbulence. Quarterly Journal of The Royal Meteorological Society 98: 563-589. Effects of afforestation on soil organic carbon and other soil properties. Catena 123: 62-69. Carbon storage and fluxes in ponderosa pine forests at different developmental stages. Global Change Biology 7 (7): 755-777. New equations for sonic temperature variance and buoyancy heat flux with an omnidirectional sonic anemometer. Boundary-Layer Meteorology 100: 459-468. A simple method for estimating frequency response corrections for eddy covariance systems. Agriculture and Forest Meteorology 104: 185-198. Uncertainty in eddy covariance flux estimates resulting from spectral attenuation. In: “Handbook of Micrometeorology: A Guide for Surface Flux Measurement and Analysis” (Lee X, Massman WJ, Law E eds). Kluwer, Dordrecht, Netherlands, pp. 67-100. A synthesis of current knowledge on forest and carbon storage in the United States. Ecological Applications 21 (6): 1902-1924. A system to measure surface fluxes of momentum, sensible heat, water vapour and carbon dioxide. Journal of Hydrology 188-189: 589-611. Frequency response corrections for eddy correlation systems. Boundary-Layer Meteorology 37: 17-35. Forestry. In “Climate Change 2007: Mitigation. Contribution of Working Group III to the Fourth Assessment Report of the Intergovernmental Panel on Climate Change” (Metz B, Davidson OR, Bosch PR, Dave R, Meyer LA eds). Cambridge University Press, Cambridge, United Kingdom and New York. NY, USA, pp. 584. Age-dependent changes in ecosystem carbon fluxes in managed forests in northern Wisconsin, USA. Ecosystems 10: 187-203. The role of harvest residue in rotation cycle carbon balance in loblolly pine plantations. Respiration partitioning approach. Global Change Biology 18 (10): 3186-3201. The hydrological consequences of land cover change in central Argentina. Agriculture, Ecosystems and Environment 154: 2-11. Predicted change in soil carbon following afforestation or reforestation, and analysis of controlling factors by linking a C accounting model (CAMFor) to models of forest growth (3PG), litter decomposition (GENDEC) and soil C turnover (RothC). Forest Ecology and Management 177 (1-3): 485-501. Carbon dioxide, methane, and nitrous oxide exchanges in an age-sequence of temperate pine forests. Global Change Biology 16: 2198-2212. The oceanic sink for anthropogenic CO2. Science 305 (5682): 367-371. Source areas for scalars and scalar fluxes. Boundary-Layer Meteorology 67: 293-318. Temperature measurement with a sonic anemometer and its application to heat and moisture fluxes. Boundary-Layer Meteorology 26: 81-93. Possibilities for increased carbon sequestration through the implementation of rational forest management in Russia. Water Air and Soil Pollution 94: 137-162. Assessing 20th century climate-vegetation feedbacks of land-use change and natural vegetation dynamics in a fully coupled vegetation-climate model. International Journal of Climatology 30: 2055-2065. Seasonal patterns of soil respiration in intact and clear-cut northern hardwood forest. Canadian Journal of Forest Research 24 (8): 1711-1716. Quantifying the impact of future land-use changes against increases in GHG concentrations. Geophysical Research Letters 33: 1-4. L04701. Correction of flux measurements for density effects due to heat and water vapour transfer. Quarterly Journal of the Royal Meteorological Society 106: 85-100. Sonic anemometer tilt correction algorithms. Boundary-layer meteorology 99: 127-150. Soil carbon dynamics after forest harvest: an ecosystem paradigm reconsidered. Ecosystems 6: 197-212.